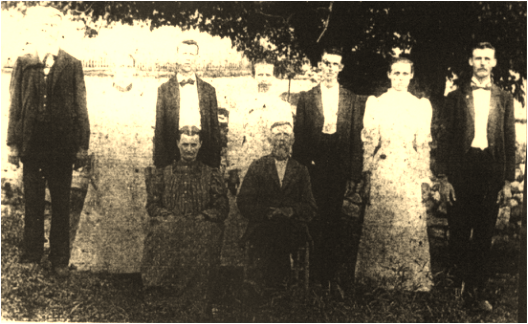 The USA Guettner Family originally began at the family farm in Poplar Springs, Tenn. This WEB site page is to provide the communications to all family members - births, deaths, sickness, Reunion, etc. This years Reunion, we got to stay with the Guettners on the original family farm! If you haven’t got the chance to visit the family farm plan to visit during next years Reunion. At the Reunion we worked on the Google Map Page for the Poplar Springs Cemetery verifying the locations of graves that the person was born a Guettner or died as a Guettner. There are 16 graves site that we verified to cross reference on Google Maps. We found 3 errors in my first rough attempt to correctly identify each of the 16 grave sites. I will updated them and add a link for all to see in the near future. Then we can get started on other family members grave locations across multiple cemeteries. Hopefully when we get done you can find each cemetery, find each headstone within the cemetery and have a picture to go by. We have this WEB site, links to Find-a-Grave, and now will have details in Google Map. Also, contact me if you would like for me to add additional information. See you at the next Family Reunion!